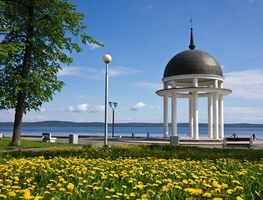 Petrozavodsk is the largest city in Karelia mostly known as a gateway to two of Karelia's biggest tourist attractions: Kizhi Island and Valaam Monastery. The name is derived of the name Peter and a russian word "zavod" meaning "factory", and refers to a big ammunition plant built here by Peter the Great in 1703. 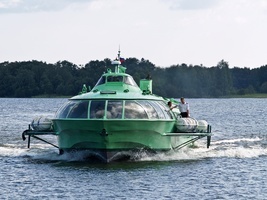 Petrozavodsk is not your typical industrial city its origin would suggest. 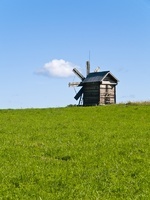 It is adorned by beutiful buildings and parks. A large student population and proximity to Finland create a distinctly European atmosphere with neoclassical facades and lakefront walking promenade. Tourists from all over the world are attracted by the historical site of Kizhi located on Kizhi Island on Lake Onega and dating back to the 17th century. It is a fenced area with two amazing wooden churches of great historical, architectural and cultural importance: the 22-dome Transfiguration Church, the 9-dome Intercession Church and a belfry. Kizhi Pogost is a unique wooden architecture monument included in the UNESCO List of World Heritage Sites. The legend has it that the main builder used one axe for the whole construction, which he threw into the lake upon completion with the words "there was not and will be not another one to match it". The Church of the Intercession is a heated winter church dating back to 1694, decorated by 9-domes.